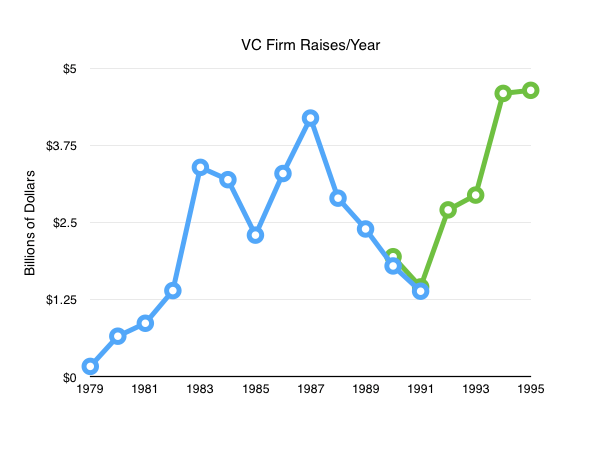 Editor’s Morning Note: Give me your hand, we’re charting VC back to before Metallica was born. Later today, Mattermark will publish a look at historical venture capital patterns in the United States, answering the questions where in the country have most dollars been invested, and where in the country have the most checks been written going back a full decade. Before, however, I want to rewind even further. Kokalitcheva’s source for the data is this “excellent overview of the decade,” to use her words. If the number of firms more than doubled from 1980 to 1983, the relevant charts must be interesting. As it happens, I have a number of old National Venture Capital Association and Venture Economics reports on my desk that go back pretty far in time. If you were alive in 1978, well done. 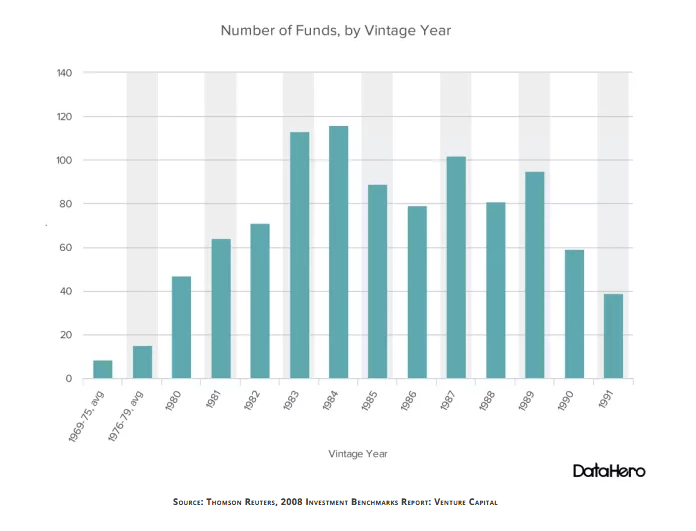 Shockingly, there is a correlation between aggregate venture raises and the number of funds created. All this isn’t to restate relatively well-tread history. Instead, bear the above numbers in mind when the third quarter venture raise figure comes out. There has been more than $20 billion raised to date in 2016. That’s around the same amount as the first half of the ’90s, in only half a year.